The City of Monte Sereno is quite small, with just about 4,000 residents, so the number of houses sold in any given month will always be extremely small. 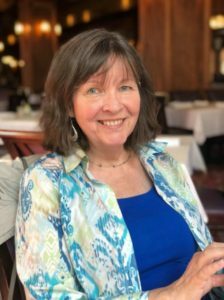 For that reason, the data may appear to jump around wildly compared to Los Gatos or Saratoga, which each have about 30,000 people living there. Please take all the stats with a tablespoon of salt, and be sure to view the Los Gatos housing market data to get a more accurate picture of what’s happening with Monte Sereno homes (just add a little to the price tag as homes there tend to sell for a bit more than LG properties). More commentary below, near the end of the post. – Next, the data. 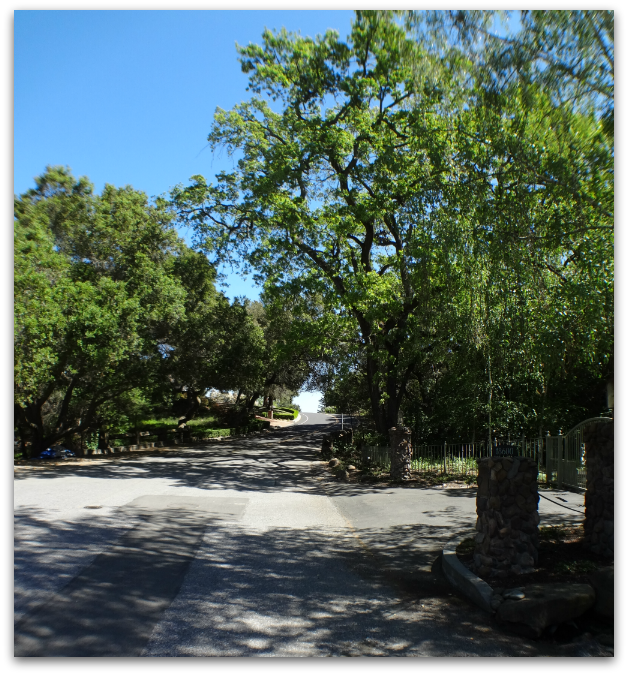 The Twin Creeks neighborhood in Monte Sereno enjoys an ideal setting away from busy commercial roads, with gently curving streets graced by creeks, an abundance of trees, and the coastal foothills as its backdrop. It’s a more rural community in that you won’t find sidealks, curbs, gutters, or many street lamps – if any. 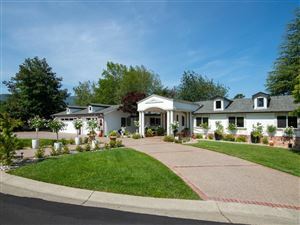 Property in this area is impeccably presented, with nicely maintained or updated homes and often gorgeous landscaping. Both homes and land tend to be large, though not in every case. The neighborhood does not come across as pretentious at all, although of course it is a very costly place in which to buy a home. I think it comes across as more low key because the homes seem proportionate to the land, and many are ranch style rather than something trendy. These lovely houses are in sync with the space around them, so you don’t end up with the McMansion effect. The houses are nice but do not crowd the land. 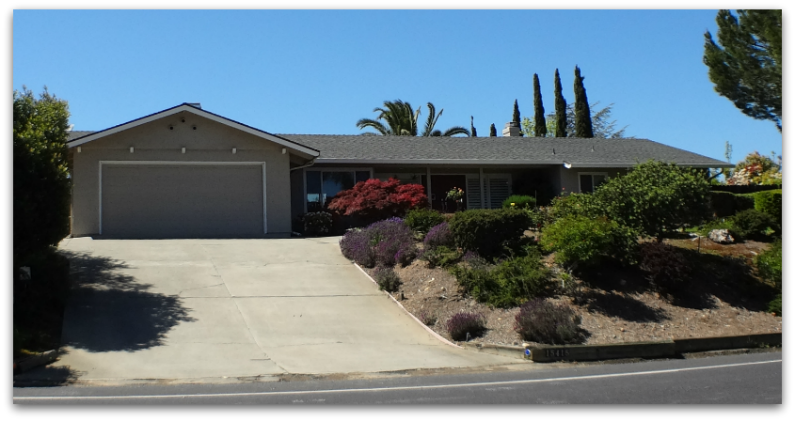 As with most of Monte Sereno, this charming neighborhood is served by the Los Gatos Union School District and the Los Gatos-Saratoga Joint Union High School District. What are properties like in the Twin Creeks area? As mentioned above, a large percentage of the houses are ranch style, but not all. Here you’ll also find a mix of Cape Cod, Spanish, and perhaps what’s best described as just traditional. There’s no sense that this is a tract neighborhood. Houses in the Twin Creeks neighborhood are younger than those you’d find in downtown Los Gatos. The average year built is 1978, and the vast majority of the homes were constructed in the 1970s (7 in the 1960s, 34 in the 1970s, 6 in the 1980s, 1 in the 1990s and the rest since 2000). There’s a large spread in the size of home, with the smallest being 2535 SF and the largest an immense 11,000 SF (that behemeth is hidden from view, so don’t drive through and expect to find it). The average home size is 3871 SF, and most homes are between 3000 and 5000 SF. These homes sit on graciously large lots – the smallest is about 1/3 of an acre, the largest more than 1 acre (about 4 acres), and the average is about 35,000 SF. Most homes can be seen from the street, but a few are hidden, as they have the privacy of flag lots. Home values range tremendously due to the variation in the square footage of the structure and the parcel. Most likely, home prices at the bottom of the pricing tier would be around $3,000,000 to $3.5 million for a more modest home in the area, and of course go up from there. Within the last two years (as of October 2016) there was a sale as low as $2,199,000, but that’s a clear exception. Over the last year two homes sold, one at $3,799,000, the other at $3,838,888, which seem to be the current norm. 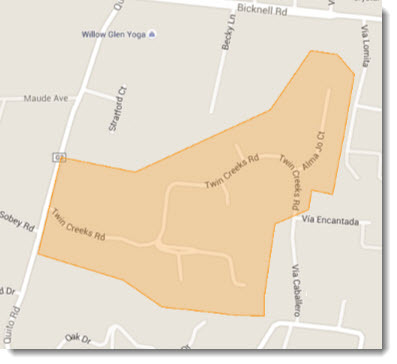 Where is the Twin Creeks neighborhood? The neighborhood begins at Quito Road and Twin Creeks Road and stretches east from there. Other streets include Chadbourne Lane, Banyan Lane, Alma Jo Court, Tamson Court, Janor Court. 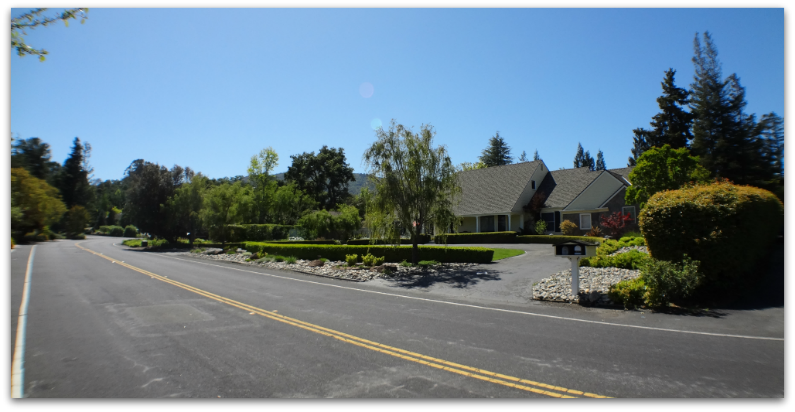 There are 59 homes in this part of Monte Sereno, and there are two subdivisions here: Twin Creeks (35 homes) and Twin Creeks Estates (23 homes). 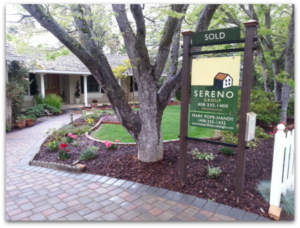 Want to learn more about Monte Sereno real estate, or check out the homes for sale? Please view homes on the market below. The Luxury Home Real Estate Market in Los Gatos & Monte Sereno: today I crunched the numbers from MLS Listings to get the absorption rate or months of inventory for estate properties over $2,000,000 in Los Gatos 95030, Los Gatos 95032, Monte Sereno (both 95030 & 95032), and the Los Gatos Mountains 95033. Monte Sereno is a red hot market for estate properties, while the Los Gatos Mountain areas are not moving a lot of super expensive properties. Have a look below.